Playwell Neoprene is more resilient than other supports. This Neoprene stabiliser provides support, compression and warmth. Embraces your muscles and holds them in place when your body requires extra assistance. Lightweight and sturdy it doesn't restrict your circulation or your flexibility. Made from 4.8mm material. 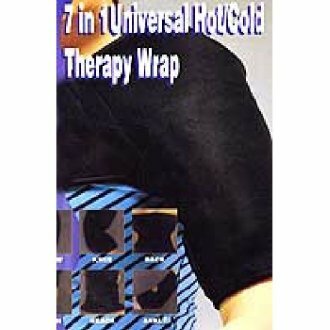 Hot and cold Therapy wrap. Can ..
Playwell Neoprene is more resilient than other supports. This Neoprene stabiliser provides support, compression and warmth. Embraces your muscles and holds them in place when your body requires extra assistance. Lightweight and sturdy it doesn't restrict your circulation or your flexibility. Made from 4.8mm material. Hot and cold Therapy wrap. Can be Used for: Elbow. Knee, Back, Thigh, Neck and the Ankle. Sold as singles. Size options: one size.